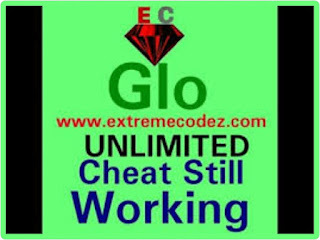 Glo free browsing cheat has been the longest cheat so far and it still working perfectly fine, however there's a new APN setup to enjoy unlimited browsing on your glo sim using one of the best VPN called tweakware. Meanwhile, the new Glo APN settings is for Android users who have Tweakware Vpn, Stark Vpn, or Psiphon VPN installed on their phone. It also works on UC mini handler. With this new APN settings you can browse unlimitedly without having a dime on your Glo SIM card. But before now, some glo users are limited to this cheat due to the poor network in their area. But never to worry, with this new APN settings we strongly believe that you will also rock and enjoy the glo free browsing cheat by using Tweakware VPN. So just relax and scroll down with us, for the new APN Settings For Glo 0.0k Browsing. Next, go back to The App front and select CUSTOM and Click Connect. Once you are done with the above settings, hit the connect button. Enjoy while it lasts. Don't forget to share this to your friends on social media and also feel free to drop your comment regarding this glo free browsing tweak. But never to worry, with this new APN settings we strongly believe that you will also rock and enjoy the glo free browsing cheat by using Tweakware VPN. So just relax and scroll down with us, for the new APN Settings For Glo 0.0k Browsing. It is working very fine.